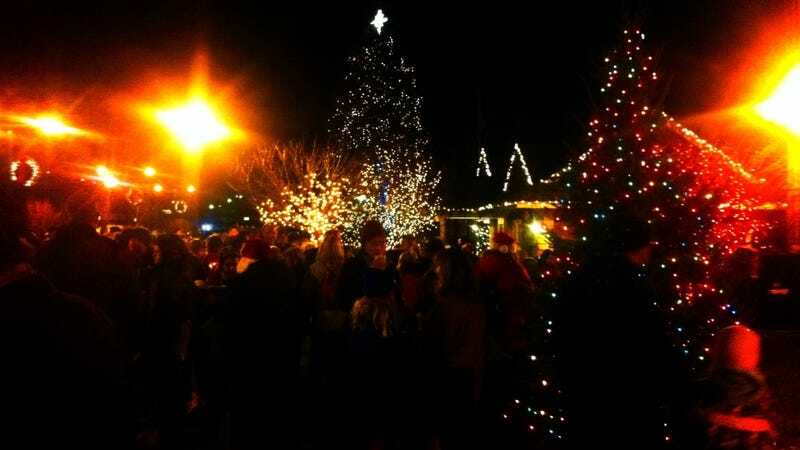 O Christmas Tree | PAWLING, N.Y.—A Christmas tree lighting at dusk in the Hudson Valley of New York. I have asked Nintendo of America president Reggie Fils-Aime about a video game called Mother 3 so many times that, in recent years, he would bring it up before I did. It's not a Photoshop and it's not a lie. Seattle-based game developer Chandana "Eka" Ekanayake really did see a Valve Software employee wearing a Half-Life 3 t-shirt at a local developer event last night. There are plenty of musical takes on Skyrim's many beautiful songs, but this is my favorite of the week, sung by the talented, and bilingual, Malukah from Monterrey, Mexico.